Vice Admiral Willis A. "Mose" Lee Jr.
Owen County native Willis A. "Mose" Lee Jr. left his mark on the 20th century, from the 1920 Olympic Games in Belgium to the Pacific Theater of World War II. Historical marker #2521 commemorates the life of Willis A. 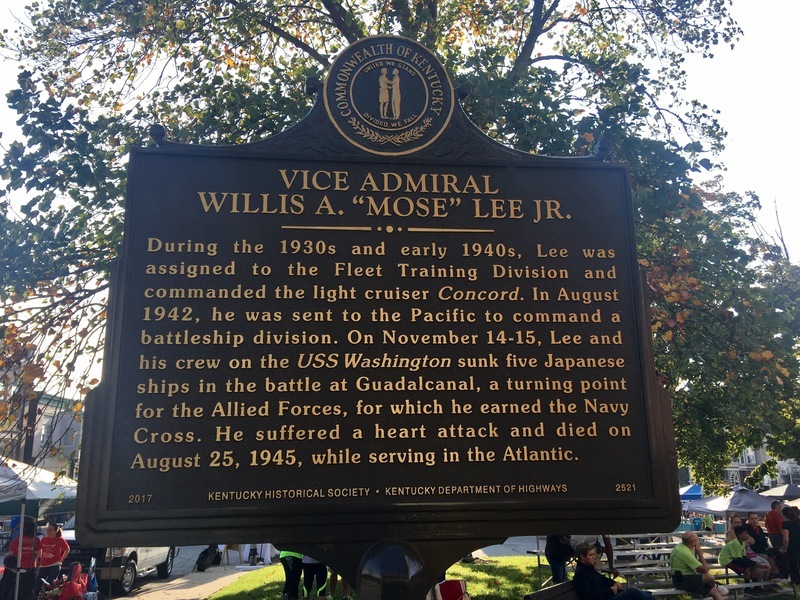 "Mose" Lee Jr. Lee was an Owen County native whose accomplishments had largely faded from public memory until a group of middle schoolers restored the Vice Admiral to a prominent place in the community. Maurice Bowling Middle School language arts teacher Denise Humphries designed a series of activities through which her seventh grade students researched Lee's background and contributions to state and national history. They honed their research, analysis and writing skills in the process, but also gained a new appreciation for their local community. 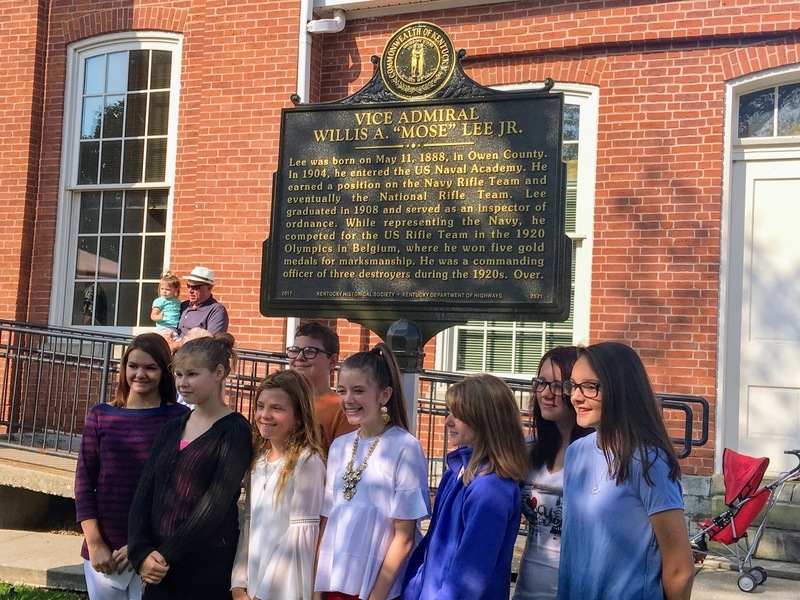 The students stressed the national and international significance of Lee's life and marveled that such an important figure hailed from their home county. The students' research assembled an impressive list of Lee's accomplishments, which included attending the U.S. Naval Academy, serving on two destroyers during World War I, winning seven medals (five gold, one silver, and one bronze) for marksmanship at the 1920 Olympics, commanding American battleships during the pivotal Battle of Guadalcanal during World War II, and being awarded the Navy Cross. 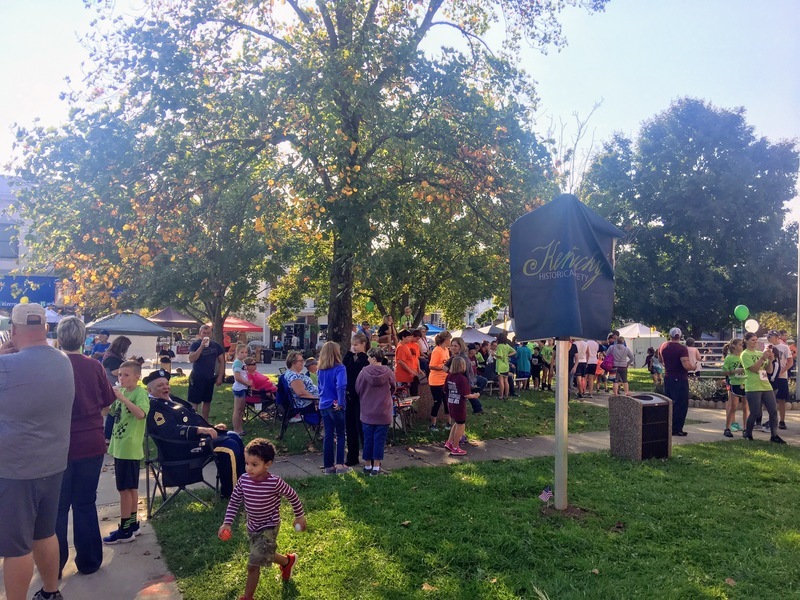 Students also raised funds to finance the marker, presented the project to local groups and applied for Lee's inclusion in the local and state Athletic Halls of Fame. Several of the students also participated in the dedication ceremony that occurred during the county's annual Sweet Owen Day celebration. They provided the dedication address and removed the cover at the official unveiling. Several descendants of Lee's were also in attendance for the event. Lee was born on May 11, 1888, in Owen County. In 1904, he entered the US Naval Academy. He earned a position on the Navy Rifle Team and eventually the National Rifle Team. Lee graduated in 1908 and served as an inspector of ordnance. While representing the Navy, he competed for the US Rifle Team in the 1920 Olympics in Belgium, where he won five gold medals for marksmanship. He was a commanding officer of three destroyers during the 1920s. Over. During the 1930s and early 1940s, Lee was assigned to the Fleet Training Division and commanded the light cruiser Concord. 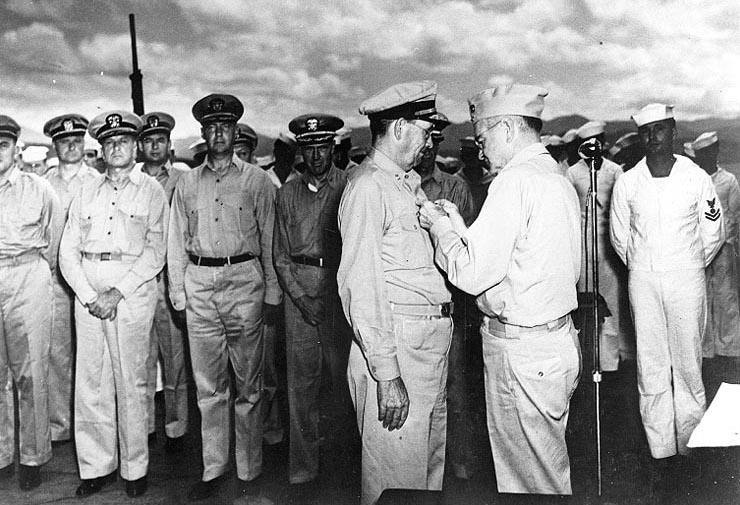 In August 1942, he was sent to the Pacific to command a battleship division. On November 14-15, Lee and his crew on the USS Washington sunk five Japanese ships in the battle of Guadalcanal, a turning point for the Allied Forces, for which he earned the Navy Cross. He suffered a heart attack and died on August 25, 1945, while serving in the Atlantic. Several students from Maurice Bowling Middle School unveiling historical marker #2521. ~ Creator: Andrew Patrick ~ Date: September 16, 2017. Maurice Bowling Middle School students with historical marker #2521. : Several Maurice Bowling Middle School students with historical marker #2521 at the dedication on September 16, 2017. ~ Creator: Andrew Patrick ~ Date: September 16, 2017. Sweet Owen Day 2017: Crowd awaits the dedication ceremony for historical marker #2521. ~ Creator: Andrew Patrick ~ Date: September 16, 2017. Historical Maker #2521.: Back of historical marker #2521. ~ Creator: Andrew Patrick ~ Date: September 16, 2017. Andrew Patrick, “Vice Admiral Willis A. "Mose" Lee Jr. ,” ExploreKYHistory, accessed April 22, 2019, https://explorekyhistory.ky.gov/items/show/794.